Madhouse Miracle v1 | It can't be helped. It’s always a treat seeing an anime or a manga do the low-key character drama every once in a while. Most of the time both media involve fantastic adventures derived from the realm of the imagination, and the most by-the-book of them almost always involve magical beings–girls–suddenly appearing from the sky and falling onto our high-school aged protagonist’s lap. Add in a few archetypes–tsundere, kuudere, or whatever–and you have your basic outline. It soon will be smooth-sailing from there, as it doesn’t really need a large effort from the creators. Those kinds of stories basically write themselves. Of course, some stories are much more imaginative than that, and even if they don’t really succeed most of the time, they are commendable nevertheless. 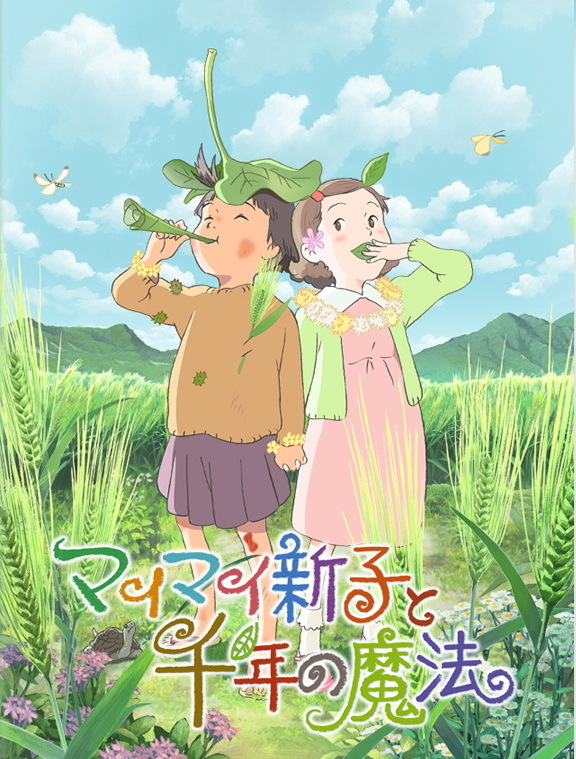 The slow-burn nuanced character-oriented anime have been done before, and some of them have been hailed as classics of Japanese animation, with Isao Takahata’s Toei Doga/Studio Ghibli works and the early NHK World Masterpiece Theater shows by Nippon Animation (some of them were done by Takahata at that) coming to mind. Let’s not forget manga too, as it has produced its own formidable line-up of the stuff, with Fumiyo Kouno’s Town of Evening Calm, Country of Cherry Blossoms and Asano Inio’s Solanin as a few examples. Inio’s stuff tend to have a darker, more psychological slant to them (Nijigahara Holograph, Oyasumi Punpun), but it’s in Solanin where we see his skill at character drama. As for this season’s anime, there is AIC’s Wandering Son (Hourou Musuko), which should be another treat for me. This was one of the movies I was looking forward to watching, along with Redline, Colorful, Space Show and the rest of the stuff. I’ve been thoroughly disappointed with King of Thorn and unconvinced at Loups=Garous, but I have had higher hopes for Mai Mai since it apparently received rave reviews from most people. However, with my lousy Japanese, I was forced to wait for a whole year just to watch this one with subs, and if that’s not bad enough, the subbed version that eventually came out was filled with almost incomprehensible gibberish that looked like it was machine-translated. I shouldn’t be one to say something about it, but movies like this getting unjustly overlooked is an injustice. Rintaro’s Yona Yona Penguin was also supposedly released back in 2009 too, and I’ve heard nothing about it since. Learning Japanese just to watch anime/read manga may not be that bad of an idea now. Anyway, the movie was nothing short of excellent. Even the machine translations did not hinder my enjoyment of the movie in any way, shape or form. Everything about it, the characters, the direction, and in some sense the animation were blended and arranged in a way that is thoroughly affecting–an emotional ride through the back streets and alleyways of our childhood. It tugs at your heartstrings without feeling contrived, and the situations felt real, even with a few fantasy elements thrown in. Fans may know of the director, Sunao Katabuchi, from Madhouse’s Black Lagoon series, but the show didn’t seem like it displayed his skill as a director to the fullest. It was more of a mechanical adaptation of the manga, just with added bonuses of color, movement, voices and music. It was a faithful rendition of the action-packed throwback to the 90s action films, which heavily contrasted with his other work. Speaking of his other work, he was also the director at the helm of Studio 4C‘s quite unheralded feature film Princess Arete, and I thought it was a more characteristic piece of his. It’s in original stories that the skill of a director can get showcased most of the time, which enables him to prove himself or try new things. The film was highly uncharacteristic of the fans’ typical perception of 4C–a freewheeling, highly imaginative studio filled with artistic flair–and was even more reminiscent of the more grounded and realistic Ghibli, from the designs to the direction. It followed a measured pace, and for a fantasy-themed tale, it was surprisingly down-to-earth and followed a realistic bent. Arete was far from a Takahata piece for sure–Takahata was slow, but his immersion was tremendous, whereas Arete felt a bit sluggish at times–but its slightly subversive approach to the fairy tale was very interesting. No princes riding on white horses in here, ladies and gentlemen. Mai Mai follows in the similar vein as Arete. It is a fantasy story at first glance, but at its core is a quietly innocent backtrack into the lives of kids, who are yet to be aware of the world around them. I was almost deceived by the promise of an elegant, and expansive trip into a fantastical adventure with extensively well-built worlds, but I was pleased to learn it was quite the opposite. I’ve mentioned above that the occasional low-key character anime were always a treat to watch and Mai Mai does not disappoint. The fact these stories are few and far between isn’t the only reason I loved the film, but it was a legitimately great work. A slow-burn story would flag and be a chore to watch if handled improperly, but in capable hands it becomes something else–a true animated drama, in the fullest sense of the word. The film was produced in 2009, but it succeeds at evoking a feeling of nostalgia into the viewer–at least I felt that way–that doesn’t come across as forced. I find that normal attempts at drama in anime come across as too cinematic, which detaches people from it in a way. Mai Mai, though, felt very natural, and to me that makes the film great. There’s something about children’s stories that get to me. Children, still unexposed to the harshness of life, are real and they operate within their own whims. They are free, imaginative, and can look at the world with untainted eyes. It’s said that children have different outlooks when it comes to the world around them, and it’s fascinating to find out what they are. Perhaps that is the movie’s biggest asset. Mai Mai deals with the subject of friendship, loss, and imagination seen through the lenses of children. The film’s description describes imagination as something “that transcends time”, and it’s shown to great effect. The film also uses it to build character relationships in a sincerely affecting and emotional way. Interspersed throughout the whole movie are snapshots of a young princess’ life in the place where the main characters live during ancient Japan, 1000 years back. Her situation parallels both main characters; she desires friendship, and the isolated nature of her social status hinders her from doing so. Nagiko, the princess, has a connection with the lead character Shinko, but I find that the princess bears the most similarities with the other main character, Kiiko. Kiiko was shy and was awkward at first, being a transfer student from Tokyo, but in the end she got companionship from Shinko, who was the first to reach out to her. Their friendship drives the story forward, and it is also where much of the tension is derived. Their eventual friendship is shown and built up through the many fun times that they shared throughout the movie. Kiiko’s development from an awkward and shy transfer student into a friendly and outgoing girl was handled really well. It was natural and flowed really smoothly. The movie made parallels with Nagiko and both Shinko/Kiiko using imagination as a bridge, and I thought it worked excellently. It proved that no matter the age and the gap between history, children will always be children. Friendships are born and built up more or less in the same way. Imagination does transcend time. Unfortunately, the machine translations made almost every little thing in the movie go way over my head. I must have missed out on 60% of the dialogue and the script, and it sucked. Despite that, the film was simple enough so that I could piece together the scrambled lines of dialogue and understand the flow with no problem. That’s what I liked about the film. It didn’t operate under a false pretense of being more than what it was, and kept things low. It was a kids’ story from start to finish. I was also impressed with how the film handled the many dramatic moments that arose throughout the film. They were not handled too heavily, nor were they too overly dramatic or cinematic. The flow of the direction kept a natural pace, and the characters were kept consistent throughout. There wasn’t a drastic character change brought about by the tension. Even the most unbelievable scenes–like kids barging in a yakuza-operated bar–were played out in a very natural and seamless way. The whole film also maintained a balance between playful, childish scenes of fun with the more emotionally-charged moments. The characters themselves acted like how I expected kids would act given such situations, which is more than what I can say for other anime like that. Nothing too over-the-top. The drama that arose for the character Tatsuyoshi was played out very dramatically, as expected of his situation, but he didn’t act out of character. He was a kid, a brave kid, and he faced his problems like any kid of his type did. The other kids also handled the other situations believably. *I would have wanted to comment on the situation with the teacher and the parallels with the goldfish–if there ever was one–but the quality of the subs prevented me from understanding them completely, if at all. I’d just like to say that the teacher looked very similar to Makoto’s aunt in The Girl Who Leapt Through Time. Anyway, one thing that also stood out to me in this film is the design work. Animation-wise it was what I would expect from this type of animated feature film, with nuanced movement and convincing character acting. The character designs were spare, yet distinctive. Princess Arete‘s flow and realistic effect were greatly helped by the simplistic designs, and they did well bringing back the same aesthetic here. The characters retain their expressiveness even with the spare forms they were given. I may be exaggerating here, but the look reminded me of designs you would normally associate with a Ghibli film. I don’t know whether or not Katabuchi himself came from there, but it seems as if he followed their design approach and put it into his own work. And since I’ve been mentioning Takahata all throughout this post, I might as well say that I was reminded of Yoshifumi Kondo’s character designs in Grave of the Fireflies in both Arete and Mai Mai. It was a welcome throwback. I don’t comment much about music when doing these write-ups, but I felt the music in Mai Mai was fitting and appropriate. It did its job of accentuating the tone of the film throughout its duration, most especially during the happy happy fun times in it. The music was rightly playful, and at times dramatic. It hit the right balance, and was timed accordingly. Using the song Sing a Song near the end was also well-timed, and gave the necessary emotional charge during the conclusion. It was a bit Engrish-y, though, but I can’t complain. Nearly every fan should have been used to that by now, anyway. The ED song was nice too. My high expectations for Mai Mai Miracle were thankfully met, and then some. I was struck by its innocent and childishly playful storytelling, and the endearing characters helped achieve that effect. Sunao Katabuchi, I can say, is better at doing this kind of anime, where the characters carry the whole thing and where the strong directing help lighten the load. His work on Black Lagoon was enjoyable enough, but I think his skill can’t be seen fully there. He should be a better fit in the world of the slow-burn down-to-earth stories. He is not as assiduous and meticulous as an Isao Takahata, but he pulls off the kind of drama I appreciate very well. The movie tugged at my heartstrings more than several times, and even gave me a nostalgia attack. I’ve been hearing some things about Madhouse giving more focus on their feature film production. This could very well be true, since their talented TV anime directors such as Hiroshi/Hirotsugu Hamasaki, Ryosuke Nakamura, and if I recall correctly, Tetsuro Araki have all gone freelance last year. Losing three talented TV directors is a big blow to any studio, so it makes sense for them to shift priorities. The current roster of Madhouse feature directors list names such as Mamoru Hosoda, Takeshi Koike, Sunao Katabuchi, and even Masaaki Yuasa, which is probably one of the strongest line-ups currently. With Katabuchi’s work on Mai Mai Miracle, he has cemented his place as one of the go-to guys when it comes to directing movies. I would have wanted to say some more things about the movie itself, but as I said, the awful sub quality prevents me from doing so–hence the v1 in the title. I hope some kind soul out there releases a fixed version of the movie, so I and more people can experience this wonderful film fully. This really is a great film, and it would only do anime fans good to see this at least once. …though I, for one, would watch this a second, if not multiple times.